Before your dear one close his/her eyes and call it a day, let your love know that he/she is in your heart and mind, that you are thinking of him/her as you go to bed. 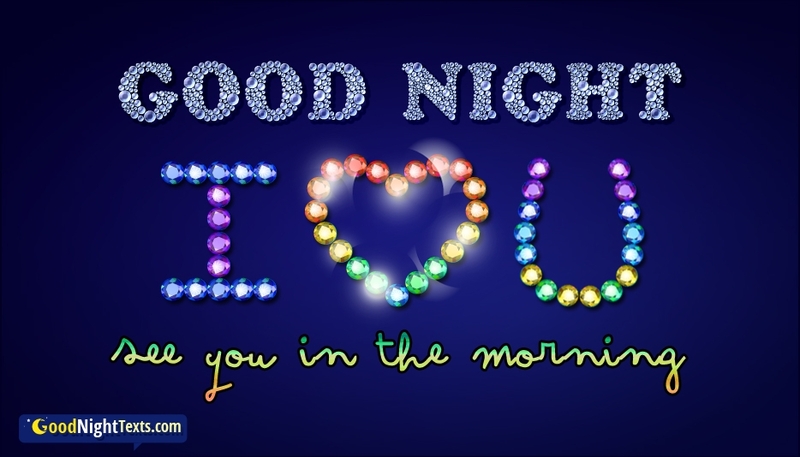 Here is a perfect and sweet goodnight message on beautiful picture for your boyfriend or girlfriend. Share this lovely good night message "Good Night. I Love You. See You in the Morning" to put a cute smile and a small romance before he/she hit the bed.